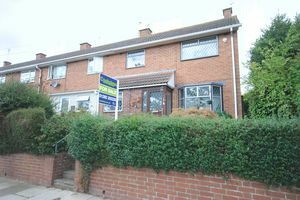 The rarely available three bedroom end terrace property with scope for further expansion subject to the relevant planning permission. In need of some modernisation with accommodation comprising of: Entrance hall, Lounge, Kitchen, Dining room, Lean to, three first floor bedrooms, bathroom, 60ft rear garden. uPVC double glazed front door, side aspect uPVC double glazed window. stairs to first floor landing, doors to kitchen and lounge, thermostat control point. Front aspect leaded double glazed bay window. Gas fireplace with stone surround,two radiators and patio doors to the rear garden. Front aspect double glazed window. Range of eye and base level units, roll edge work surfaces, gas cooker point, part tiled walls, wood laminate flooring. Rear aspect window. Wood laminate flooring, radiator and door to lean to. Triple aspect windows. Part glazed door to rear garden, stainless steel sink, mixer tap and further appliance space. Doors to bedrooms one, two, three and bathroom. Access to loft void above. airing cupboard housing wall mounted boiler. Radiator. Front aspect double glazed window, wooden flooring. Radiator. Rear aspect double glazed window with view over the rear garden, wood flooring, radiator. Front aspect double glazed window. storage cupboard, wood flooring. Twin rear aspect frosted double glazed windows. Three piece suite comprising of pedestal wash hand basin, low level WC. Shower, extractor fan. 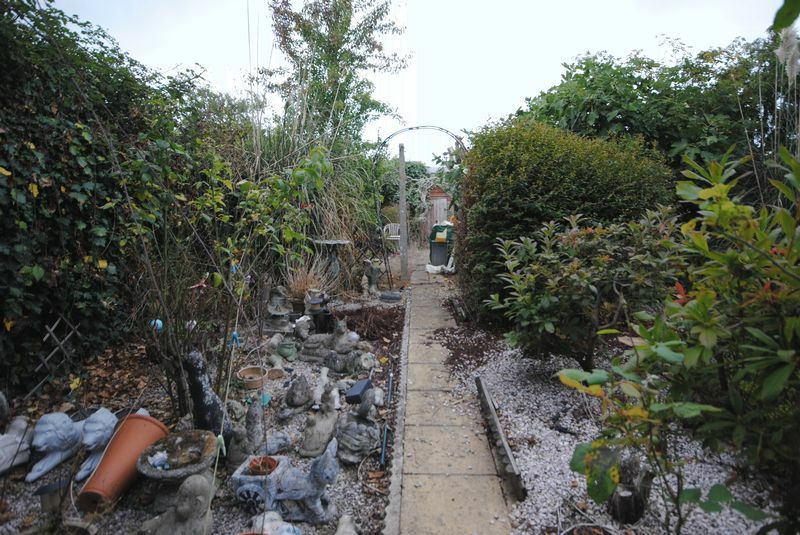 Enclosed over 60ft rear garden, with mixture of fruit trees, wooden shed, greenhouse, side gate with provides access to the front of the property. Front garden is well stocked with shrubs and has steps to the front door.